Our expertise and our connections that we have developed within Pacific Northwest and other West Coast real estate markets mean we can alert you to investment properties that rarely hit the open market. Once we understand your Real Estate Investment Strategy, we can spot opportunity before it becomes know to the open market. We do this on an exclusive representative basis. As your real estate investment broker, we can then structure and guide your transaction every critical step of the way to a successful and profitable conclusion. If you snooze, you lose. Good real estate investment opportunities are heavily sought after by a huge number of real estate investors who have a lot of money today. 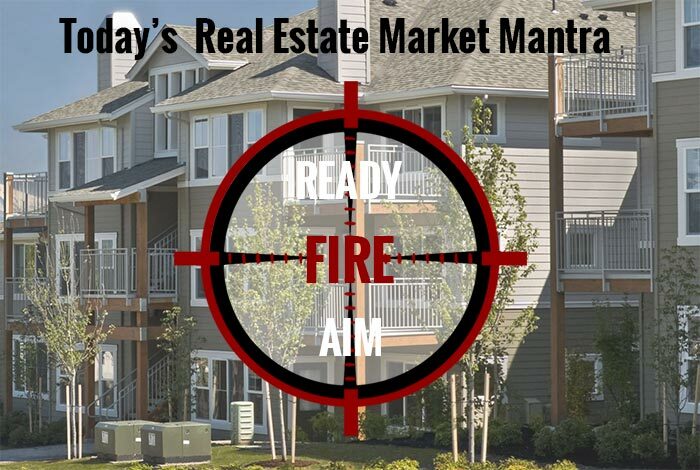 Today’s More Accurate Real Estate Market Mantra: READY, FIRE, AIM. Know what you want. We can help you clearly define Target Properties. Be ready to offer quickly, but build in a sufficient Due Diligence Period to allow you to fully understand the true nature of the investment opportunity that we now have placed under contract. Close once we identify a worthy property. Others will be breathing down our neck. The 1031 tax-deferred exchange offers a valuable tool with which to increase the value of your portfolio. Bob Nelson is the 1031 Exchange Guru, let an expert help you take advantage of it! Evaluate the benefit of a Reverse Mortgage loan or a Golden Parachute exchange to provide retirement income through your golden years. Remember: it costs no more to use the best. Why pay the same price for lesser quality of service?